If you’re hankering after a vintage wedding then this stunning wedding shoot is just for you. Photographer Alan Harbord and the team spent the day recreating the 1920’s and 1950’s at one of the Wedding Dolls favourite venues, The George in Rye. 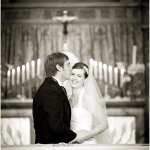 Beautiful pictures, gorgeous venue and fabulous inspiration – enjoy! 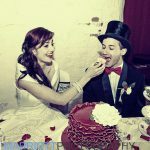 Vintage Wedding Website: Agnes & Norman Launching Soon! This week as the sun hots up there’s been some sneaky Pimms after work action going on at Wedding Dolls HQ. There’s nothing like adding cucumber to your drink to make it feel like summer! As with lots of summer weddings we’re now on count down for our next couple to head down the aisle. They’re having an Asian Fusion wedding with hints of green and gold. Take at look at their inspiration board if you haven’t seen it already. On the blog this week was a lovely engagement and real wedding, shot by Rebecca Douglas. 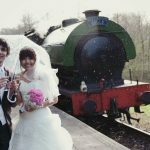 Our wonderful couple, Cho and Enio, shared their gorgeous April wedding with us at Tonbridge Castle which included some really unique shots of them on the vintage steam railway at High Rocks in Royal Tunbridge Wells. Also on the blog was our three part special on hidden gem wedding hotels. The hotels (or restaurant with rooms!) featured were The Bell in Ticehurst, The George in Rye and The Marquis of Alkham. 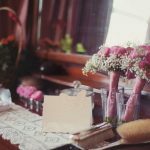 Each of them are really unique and offer something completely different for your wedding day, so check them out if you are still searching for that all important venue. We rounded the week off giving our Mothers’ of the Bride a helping hand in tracking down fabulous wedding day outfits in just some of the gorgeous boutiques to be found in and around Kent. 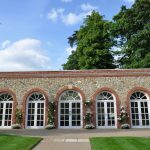 Next week we’ve got a 2 part special from our English Country Garden wedding, a fab Kent wedding supplier to share and a couple of new venues to take a quick tour of.